Spiritual Benefits Of Meditation - UYT157 | What Does Meditation Do? Part 4 Of A Series On The Benefits of Meditation: What Are The Spiritual Benefits Of Meditation? Today we are discussing the spiritual benefits of meditation; you may even say the spiritual power of meditation. So far we have studied the emotional, physical and mental meditation benefits so we understand that a regular practice of meditation is beneficial to the body and psyche. When you choose to follow a new spiritual path it is quite often that one would find some challenges along the way. These challenges can be a hindrance to your growth. So what does meditation do to help? It focuses your resolve for one. More important however it allows you to create or discover that connection with source. Once you create this connection you can then delve into many aspects of your spiritual nature such intuition and the gifts involved with aspects of your true being-ness. One of the many aspects of spiritual understanding is that we can heal all that ails us and regular meditation is a key to reach that level of awareness and ability. Also, meditation brings you to present. This removes most of the pain associated with your physical life journey allowing you again to focus more on your true being. How does meditation help spiritually? How to achieve meditation spiritual awakening? 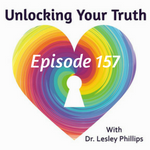 Join us on this episode of Unlocking Your Truth, Spiritual Benefits Of Meditation, when we discuss and demonstrate some different meditations and the benefits of daily meditation on your true nature. Unlocking Your Truth is my weekly radio show where we discuss all things metaphysical like Spiritual Benefits Of Meditation! And much more! The show airs on CIVL 101.7 FM at 7-8PM (Pacific Time) every Tuesday evening or live-stream the show at CIVL.ca. During each of our Unlocking Your Truth episodes, we also answer email questions from our listeners as well as occasionally do readings live on air for our call in guests. You can call in 604.504.7441 ext 4142 and ask anything you want. For UYT episodes to be sent directly to your device, subscribe on iTunes, , Player FM, Blubrry or Stitcher! And lastly, if you like a Free Psychic Reading to have your questions answered submit your request in the form to the right. Thanks so much!